Without social movements and wider struggles for progressive social change, the field of Geography would lack much of its contemporary relevance and vibrancy. Moreover, these struggles and the geographical scholarship that engages with them have changed the philosophical underpinnings of the discipline and have inflected the quest for geographical knowledge with a sense not only of urgency but also hope. This reader, intended for advanced undergraduate and beginning graduate courses in Geographic Thought, is at once an analysis of Geography’s theoretical and practical concerns and an encounter with grounded political struggles. This reader offers a fresh approach to learning about Geographic Thought by showing, through concrete examples and detailed editorial essays, how the discipline has been forever altered by the rise of progressive social struggles. Structured to aid student understanding, the anthology presents substantive main and part introductory essays and features more than two dozen unabridged published works by leading scholars that emphatically articulate geographic thought to progressive social change. Each section is introduced with an explanation of how the following pieces fit into the broader context of geographic work amidst the socially progressive struggles that have altered social relations in various parts of the world over the last half-century or so. Doubly, it places this work in the context of the larger goals of social struggles to frame or reframe rights, justice, and ethics. 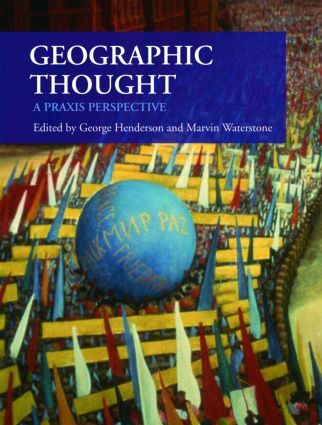 Geographic Thought provides readers with insights into the encounters between scholarship and practice and aims to prompt debates over how social and geographical knowledges arise from the context of social struggles and how these knowledges might be redirected at those contexts in constructive, evaluative ways. The reader is unique not only in knowing Geographic Thought through its progressive political attachments, instead of through a series of abstract "isms", but in gathering together salient works by geographers as well as scholars in cognate fields, such as Nancy Fraser, Chantal Mouffe, Iris Marion Young, and Jack Kloppenberg, whose own engagements have proved lasting and influential. For researchers and students interested in the connections between theoretically informed work and the possibilities for bettering people’s everyday lives, this book provides an innovative and compelling argument for why Geographic Thought is valuable and necessary. Introduction: why is geographic thought always political?